How many potential referrals have you lost because you didn’t know what to say? How many leads have you burned through because you said the wrong thing? How many times have you lost a listing because you weren’t prepared in your presentation? In Real Estate, every opportunity counts. The mistakes you make with your words are costing you time AND money in your business. Don’t miss out on opportunities to sell yourself. In this program, Expert Coach Bill Pipes will show you the strategies, skills, and scripts needed to run your business with confidence and have unstoppable sales skills. Your Training Program will be streamed online via your Digital Access License. What You Say Matters is divided into 8 Sessions. Each Session includes scripts and video training with Coach Bill Pipes. How to generate repeat and referral business using database dialogue. The 3-part system for contacting For Sale By Owners. The dialogue for successfully setting an appointment. How to overcome the objection of “we want to try selling it ourselves”. The exact email copy to send to Make Me Move leads. Door knocking dialogue that is friendly and not pushy. Text dialogue to send to Make Me Move leads. The exact email copy to send when following up with an online lead. The script to use to successfully convert your online lead into an appointment. Three different dialogues to use when talking to Expired leads. How to overcome the objection of “we’re taking our home off the market”. What to say when inviting neighbors to your open house. The right dialogue to use with prospective buyers. How to set up your Unique Selling Proposition. What to do to prepare for success at your Buyer Consultation. The 25 must-ask questions during the Buyer Consultation. How to talk about Earning Exclusivity. What to say when a buyer says “I want to review my options of other agents”. Qualification dialogue to use during the qualifying process. A complete, step-by-step script for your Listing Presentation (so that you secure the listing!). The exact marketing plan dialogue to use during your presentation. How to present pricing in a way that allows you to close the deal. How to overcome the question of “will you cut your commission?” without having to cut your commission! What to say when the seller says “we want to think it over” and sign the listing agreement. As you watch, learn, and grow from each of the 8 detailed sessions in the program, you’ll be equipped with the scripts and techniques needed to win more leads and get the YES! Because What You Say Matters. 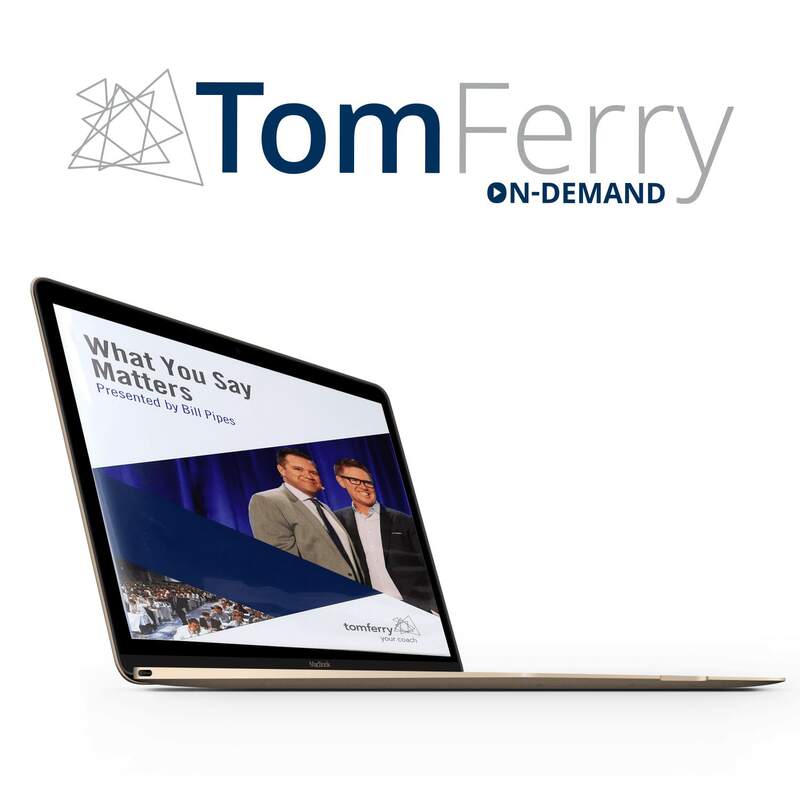 What You Say Matters Online Training Program is based on the principles taught at the 3-Day Sales Edge Event with Coach Bill Pipes. You deserve to win more leads. To convert more deals. And to generate more money. CLICK HERE to go back up to the top of this page, then select “Add to Cart” and complete your checkout process. Don’t miss out on opportunities to sell yourself and create the business you’ve always dreamed of.